As a regular attendee and host of TEDActive and an organizer for TEDxIndianapolis, I am grateful for the opportunity to interact with some very interesting people and have some experiences that are unique. This year at TEDActive, I had a few firsts from which I learned a bit about myself both personally and professionally. I have recognized and come to terms with the fact that being well-spoken and a bit bohemian in appearance is a magnetic formula for curiosity and engagement. Additionally, my involvement with TED has given me an associative point of interest in the eyes of some folks that is really only as accurate as our actual interactions prove it out to be. To that end, I was asked at TEDActive this year to give a [very] short talk on collaboration in one of the salon events. I had a matter of hours to prepare and deliver and about 3 minutes to work with a coach. How did it go? To be clear, no movements will be started based on my talk. It was a great opportunity and learning experience and was generously received by my audience. However, it paled in comparison to another event I led during the week, and I understand very clearly why that was the case. Leading from my strengths to serve a need I understand with a group of people who are receptive is a formula for success for me. 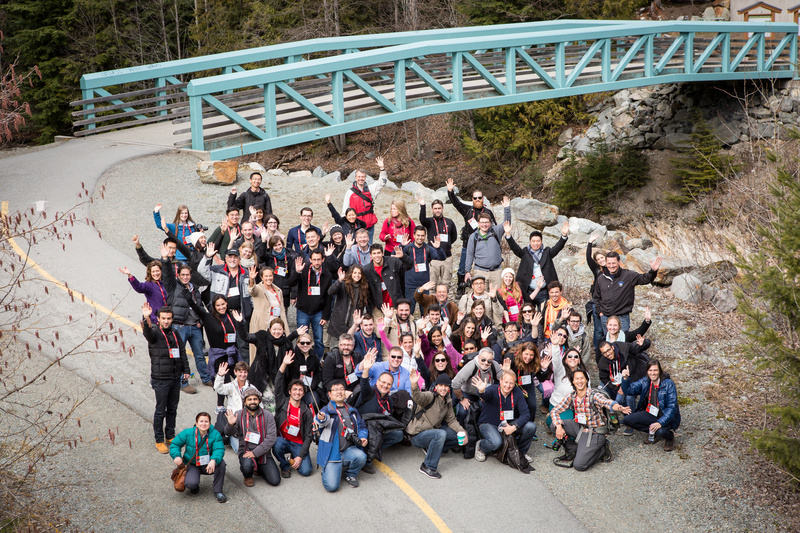 I led a hike on Wednesday at TEDActive to give folks a chance to decompress, process the emotions and intellectual stimulation of the event, experience the physical outdoor beauty of Whistler, BC, have unstructured conversations while moving about, share pictures and experiences, and create a unique memory. As a veteran of the conference and host, I know the subtle, yet profound impact of those things in the midst of an intense week. Expecting 15 to 20 folks, 70 people eagerly followed along as my co-leader and I struck out on the trails. This was a huge success – in no short part because it was a great fit at the right time for the right outcome with the right people. My talk on collaboration was ok. 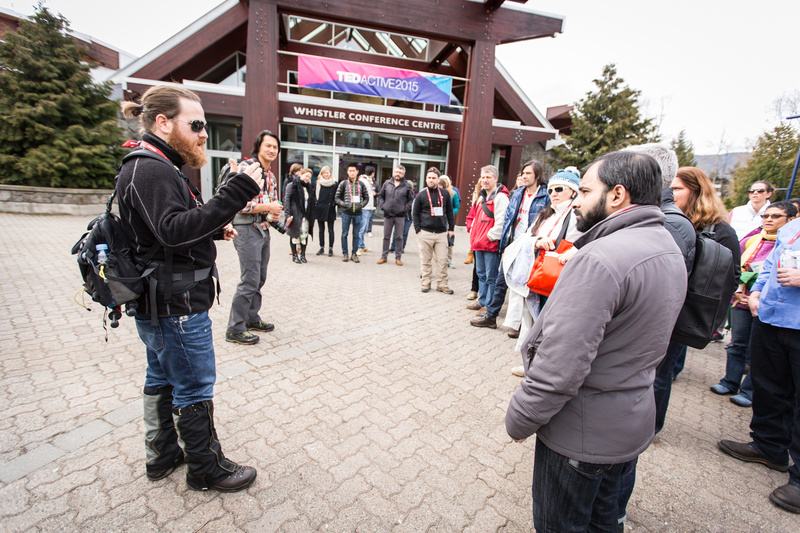 There is a clear difference between my offerings as a TEDx organizer and TEDActive host and my time on the stage. The difference is in where my strengths converge with both the need and dynamic where they can thrive. That is the experiential side over the theoretical side. I am a kinetic and relational person and lead / serve / connect in that context; one who walks with rather than one who stands in front. The hike at TEDActive will not get a million views on TED.com, but for a large handful of attendees, it made a significant impact on the week and calibrated their experience in a way that my talk never could. It provided clarity, validation, and gratitude that I will tuck away in my pouch of things-gone-right. Those “I get it” moments are excellent markers along the path of life. My goal and my joy is not necessarily to spend time talking about mine, but to walk closely with others and help them find theirs. The original title for this piece was “My First TED Talk and a Nature Walk.” This post was originally posted here.